Three days after consecutive blasts rocked the cities of Bangalore and Ahmadabad, India is still in a state of shock. And as in any times of crisis, the Indian people have turned to their respected leaders for succour and comfort. Our leaders have not disappointed either and have risen to the occasion providing inspiring leadership when it mattered the most. 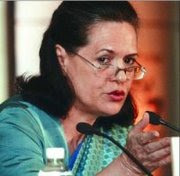 Congress President Sonia Gandhi was quick to condemn the blast. She also added a shocking revelation. She claimed that “people who want to disturb the peace of the country are behind it (the blasts)”. 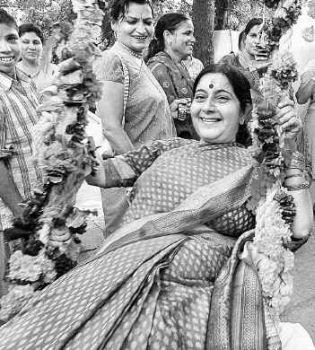 This sent the country into a tizzy as till now the general public was under the assumption that the blasts were carried out by people who did not want to disturb the peace of the country. And although with leaders like these I don’t feel the need to wish for too much, I do have one small wish. May God grant leaders like these to the terrorists too. That’ll show them,” says a stoic but smiling Ravi. "This sent the country into a tizzy as till now the general public was under the assumption that the blasts were carried out by people who did not want to disturb the peace of the country." The sarcasm burst out, Mr. Hades! ^^^*"burst" should read as "bursts"